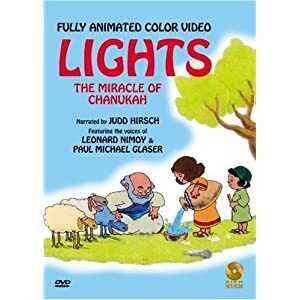 Happy Channu-Hannu-xhannu- Hanukkah to all you … what’s the opposite of goyim? Whatever that is, celebrate! And for all our druish friends who felt left out of all the world-conquering Christmas cheer over the years, take some solace: had Christmas cheer been successful in implanting itself in your brain like the lancet fluke, you would now be trampling over your fellow Christians to get to the Wal-Mart flat screen HD FaceNumber3000 model at 4:30 in the morning in the name of Jesus. Send that boy some lights!